The Construction Industry in India is, after agriculture, the Second largest employer with around 41 million person engaged by this industry. Though a Large numbers of professionals are employed at the higher levels, there is an acute shortage of skilled professionals who have acquired their skills in a structured manner at the ground level.This leads to poor quality of supervision, workmanship and quality. 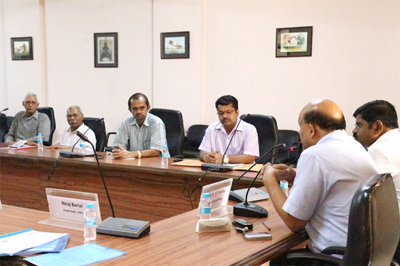 To address thisskill and Knowledge gap, the UGC has started the B.Voc. Programme. The B.Voc. 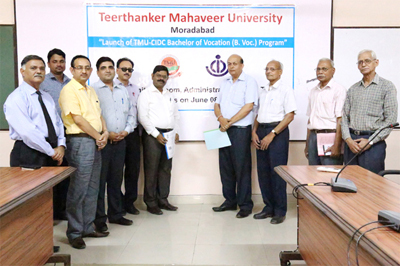 Programme which is being launched jointly by the CIDC and TMU, and isspecially tailoredto address the needs of the Construction Industry and fill the skill and knowledge gaps .This is a practical oriented programme and aims to give the student hands on knowledge of the various aspects of operation and activities at the site. 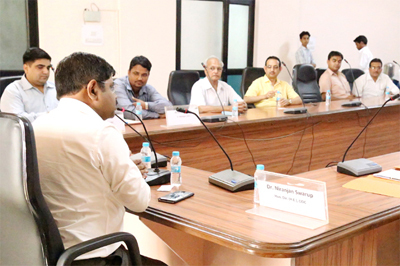 This will also help develop the student’s capabilities in a holistic manner. This programme will cover seven construction streams that include of Building Construction,Roads & Highways,Waterproofing and Construction Chemicals Application,Operation and Maintenance of Construction equipment,Trenchless Technology application,Construction Project Management&Building Maintenance. This programme is structured along the lines of “learn while you earn” with thecandidate initially investing one year to earn a basic diploma which makes him/her employable. The next level is the advanced diploma which can be earned after completion of the basic diploma programme. The bachelor’s degree can be earned one year after completion of the advanced diploma. The Construction Industry Development Council is the apex body of the construction industry established in 1996 by the Planning Commission (now NitiAayog) and the construction industry to take up activities for the development of the industry. It has till date helped the training and employment of around 5 lakh youth in the industry through its various initiatives. The council strives to develop programmes aimed at improving the skills of workers employed in the sector. 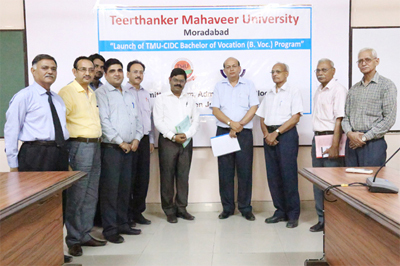 The CIDC on this day joins hands with the TMU to sign a MoU to promote the Bachelor of Vocation(B.Voc.)programme. 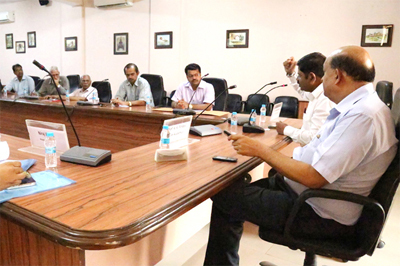 The programme would operate through a Co-ordination Council with joint representation CIDC and TMU. 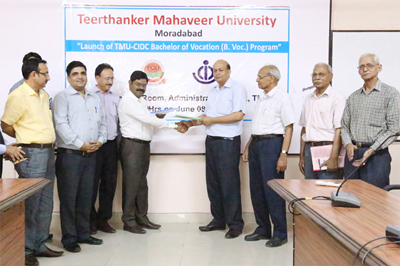 All students seeking admission shall enroll themselves with the TMU & shall be awarded the certificate jointly by CIDC-TMU. The CIDC shall also facilitate the selling up of an “Academy of Construction” to promote the development of dedicated skilled construction professional. 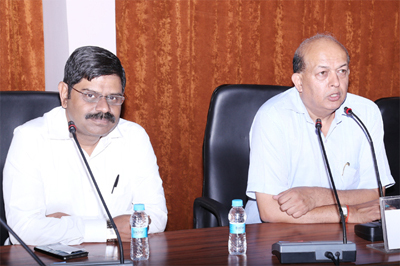 This programme is scheduled for a Pan India launch in the month of July 2015.